Liquid Chlorophyll turns water into a tasting drink that you may enjoy within whole day. "The mint drink" is not only tasting, it also helps to fresh, humidify and to leave your breath fresh mint, that makes it a valuable addition to any of a body nutritious clarification programs. Chlorophyll is a green pigment that is found in plants which uses a solar energy in the process of photosynthesis. Chlorophyll carries out metabolic roles in plants, e.g. respiration and growth. The mulberry and the alfalfa plant, from which Nature’s Sunshine’s chlorophyll is produced, are best sources of a chlorophyll. 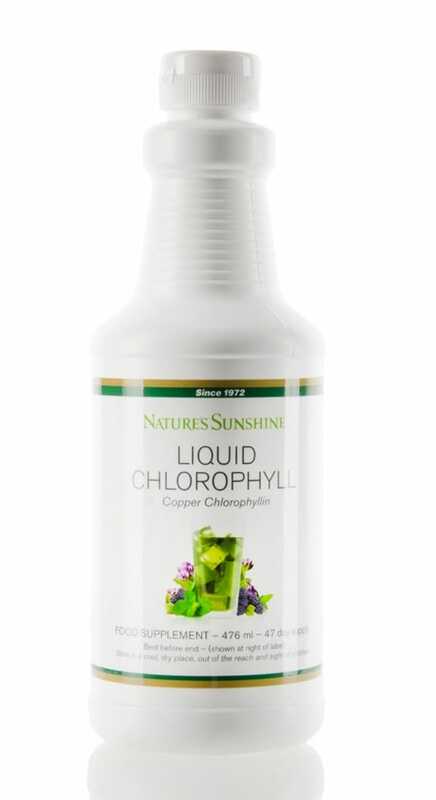 Preservative Free Liquid Chlorophyll has a formula which uses all natural vegetative source glycerine without any parabens. Glycerine is a stabilising element which operates for inhibition of growth of microbes. The chlorophyll is non-toxical product and safe for people of all age. Mix one teaspoon (5 ml) Liquid Chlorophyll with a glass of water.